After a reception at the Opening Night of St Kilda Film Festival in May, award-winning Australian zombie kangaroo short, ‘Waterborne’, will be made available to watch online from midnight on June 15 for a limited time. The film will be free to view at www.waterbornemovie.com but fans are also encouraged to follow the official Facebook page at www.facebook.com/waterbornemovie for merchandise giveaways, exclusive behind the scenes content and live Q&A’s with the cast and crew. 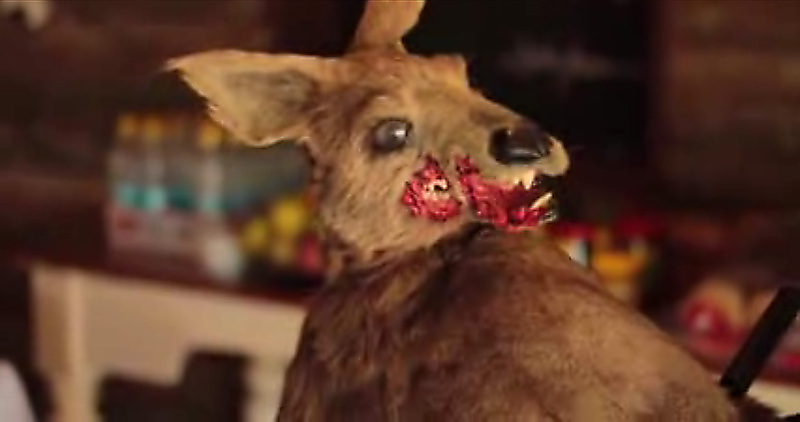 The self-contained short film, which features a ‘zombie kangaroo’ that attacks a ranger on a deserted bush road, also acts as a proof-of-concept for a feature length project currently in development. Since the first screening twelve months ago, Waterborne has received rave reviews at numerous international genre festivals including Fantasia International Film Festival (Montreal), Fantastic Fest (Austin), Stanley Film Festival (Denver) and Sitges International Fantastic Film Festival of Catalonia. It has since been shown at over 50 festivals worldwide, including a number of Academy Award accredited festivals. Written by Ryan Coonan and Richard Barcaricchio, the film has also won several awards including Best Australian Short at the Monster Films’ ‘Monster Fest’ in Melbourne, Best Short at the Abertoir Horror Festival in Wales, Best Microshort Zombie Film at Fear Fete in Mississippi, and Best International Horror Short at Buffalo Dreams Fantastic Film Fest. “We receive so many requests from fans eager to watch the film but unable to make it to the festival screenings that we decided to give the world a chance to see it in between festival screenings,” said Waterborne producer, Marisa Brown.